Need to stretch your iPhone/iPad app budget? 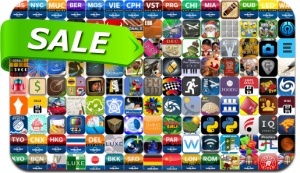 Here are 151 great iPhone, iPad and iPod touch apps that just went on sale. This app deal alert includes Rayman Jungle Run, Blood Roofs, Synesthetic, Pickpawcket, Mushroom Age, Full Metal Jacket Diary, Advent Calendar 2012, Real Strike, Moku Hanga, Pixlr Express Plus, Phone Drive, Lonely Planet Guides and many others.